Spangleyboards are used here to great effect with raised channel letters to create a feature wall at the back of this retail unit catching shoppers’ attention and drawing them in! At Spangleys we understand the importance of drawing shoppers in. There are lots of shops out there, and we want to make sure that your shop gets noticed. 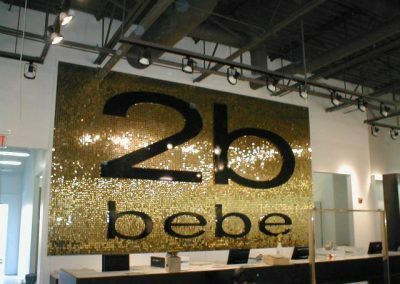 We were very proud to work with 2 B BEBE. Being such a go-to destination for chi, contemporary fashion, we wanted to make sure the window displays we created matched the company’s style. 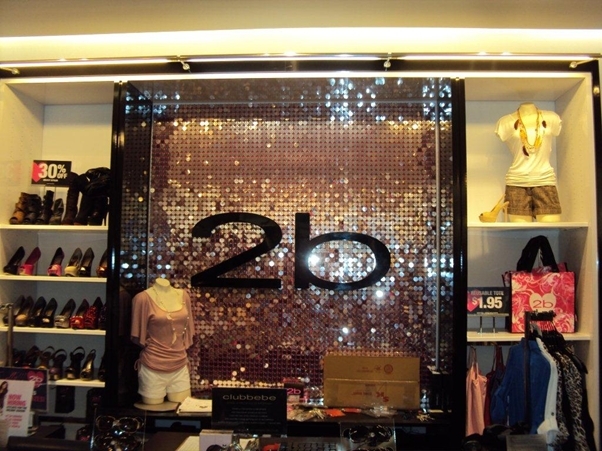 At Spangleys we knew it was important for 2 B BEBE that the company name was obvious on their feature walls. We achieved this by making the background of the feature board sparkly, while the company name remained neutral. We believe this worked great, the feature walls stood out without being over the top. Spangleyboards worked great in this instance to really bring out the importance of the feature walls. 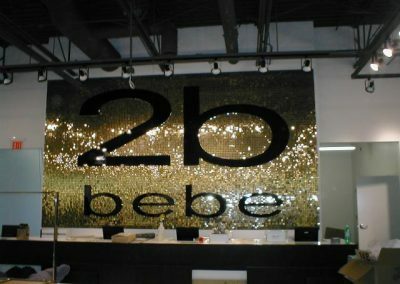 The sparkle and shimmer in them greatly caught the shoppers’ attention and made them want to take a second look at 2 B BEBE’s collection. This successful campaign allowed us to branch out to a different company and audience. It also helped show our customers what can be achieved when using Spangleyboards. We are very proud of our end results and we can’t wait to see what other work we can help this company with! Continue clicking through our gallery for more campaigns by Spangleys!